In most countries of the world, almost all toothpastes produced contain fluorides, especially tin (II) or stannous fluoride, which has been touted to help in strengthening the teeth. But like all seemingly good things, does it actually work? If yes, how does it work? If no, why is it being included in oral treatment? In a world where almost all sugary things taste like toothpaste, could this be a sweet cover-up? Or is this writer just being mischievous? The list is endless because most of the time our oral cavity is working, either for speech making or chewing or… just opening it. Infancy is another issue because babies put most of the things they encounter in their mouths in order to determine its edibility or just its acceptability. Due to all these activities, the mouth is second only to the skin in daily encountering of external microbes. However, just like any other ecological niche, some microorganisms, which are mainly bacteria, are more dominant than the others. The prominent ones include the streptococci especially Streptococcus mutans and S.sanguinis, lactobacilli, staphylococci, corynebacteria, and anaerobic bacteroides. Most of these organisms, called cariogenic microorganisms because of their roles in dental carries, are however been kept under control by the immune system. Health conditions caused by these organisms are dental plaque, dental caries and periodontal infections. It should also be noted that most oral infections originate from the teeth or the gums. Dental plaque is a biofilm which forms naturally on the teeth by colonising bacteria due to the presence of food particles remaining on the teeth. These food particles act as substrates for these bacteria, which can be up to 1000 species at a time These plaques, though soft and can be removed easily using the fingernail, can however become a hardened and difficult biofilm called dental calculus. Dental plaques can eventually proceed to dental carries and periodontal problems. Streptococcus mutans and Lactobacilli are the bacteria chiefly responsible for dental caries which is also called tooth decay, and they do this by producing “organic acids at the levels that induce demineralization of tooth structure…” Acids produced are as a result of fermentation of simple sugars (sucrose, glucose and fructose) deposited on the teeth. Periodontal (around the tooth) infections are infections affecting the gums and the structures supporting the teeth. When the bacteria causing dental carries spread downward toward the gum and the connective tissues, the immune system responded resulting in inflammation. Among the resulting infections are gingivitis and periodontitis, which as the names imply, are as a result of the inflammatory actions of the immune system. So, how do fluoridated toothpastes, mouthwashes and varnishes prevent all these ‘toothy issues’? And what are the implications? inhibiting bacterial enzymes like enolases, phosphatases, pyrophosphatases and proton- extruding ATPases. It has also been reported by William E. Clapper that sodium fluoride affect the metabolism of oral lactobacilli by reducing their ability to produce lactic acid, inhibiting the dehydrogenase enzymes of lactobacilli and permanently reducing the ability of an actively acidogenic strain of lactobacilli to produce acid from glucose. Nevertheless, the experimental result actually means that fluoride inhibitory effect could also be inhibited by the acidity or alkalinity of the immediate environment! According to their findings “direct fluoride inhibition of urease enzyme is enhanced by acidification” and microorganisms like Staphylococcus epidermidis with high ureolytic capacity, would lessen any tendency to lower the cytoplasmic pH value. This simply translates to the fact that fluoride does not have effect on all cariogenic microorganisms, though it should be noted that most of these organisms actually cause carries by producing acids, hence providing an optimum condition for fluoride to work. Supporting reports which dent fluoride seemingly ‘invincibility’ was also provided by Tanomaru, J.M.G. et al. (2008), where it was reported that the interactions with other constituents of mouthwashes and at different concentrations may actually lessen its antimicrobial effects on the microbial community of the oral cavity. A more direct attack on the antimicrobial ability of fluoride came two years ago in the 2010 review by Carole Clinch, of the dental research conferences in 1990 and 2001 where it was concluded that fluoride does not produce clinically relevant changes in the number or concentration of bacteria species found in dental plaque. According to her, fluoride may have subtle anti-microbial effects in vitro, but the in vivo evidence using fluoride concentrations commonly used in toothpastes (500–1500 ppm), with subsequent mouth-rinsing with water, fails to demonstrate any clinically significant antagonistic effect on the bacteria involved in dental carries. “In fact, no available research has shown that F at 1 ppm in water significantly alters plaque metabolism or plaque growth (bactericidal effects)”, she reported. 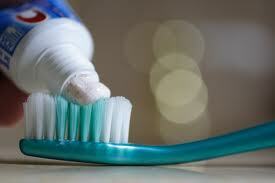 The reasons for this, according to the reviewer, might be due to the fact that either the oral bacterial community have developed antimicrobial resistance to the substance (as in antibiotic-like) or it has not been actually working as promoted by the agencies and organization producing fluoride-containing toothpastes and mouthwashes.